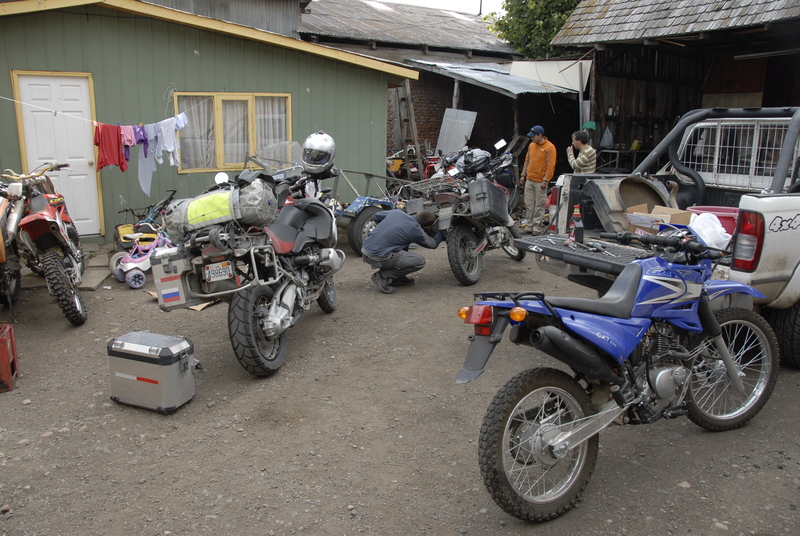 In the morning, we spent 4 hours at the mechanic shop trying to fix the rear mud flap on Vadim’s motorcycle. 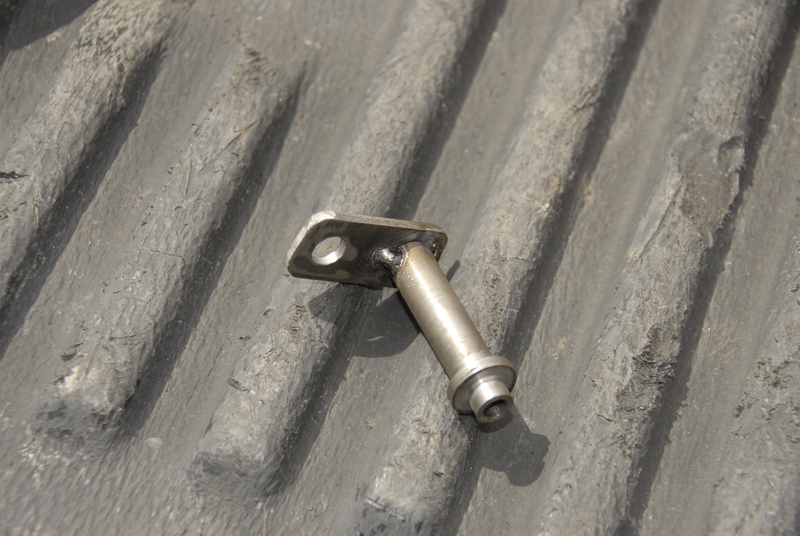 A metal part holding it broke off along with the screw. The mud flap broke off from the vibrations from all the bumpy roads we had to take. 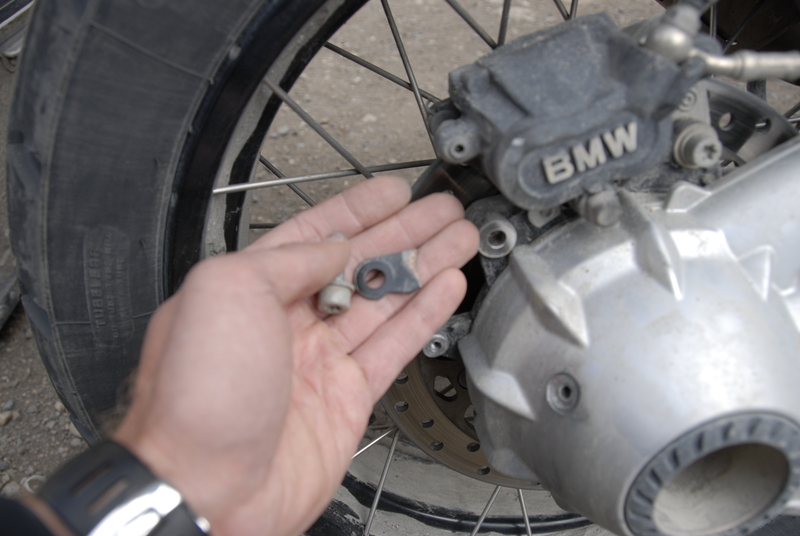 The mechanic fabricated the metal part that broke – the imitation was amazing. We rode all day long down the twisty rode along the lake. The views were the ones from a post card. Towards the end of day, Vadim’s mud flap broke off again along with the newly fabricated part from significant road vibrations. We decided that fixing it is pointless until the end of the trip. In the evening, we knew that we are not going to reach Chile Chico (our today’s original destination) because we couldn’t go fast on the rocky road. So, we decided to shoot some videos of us riding on a beautiful road. 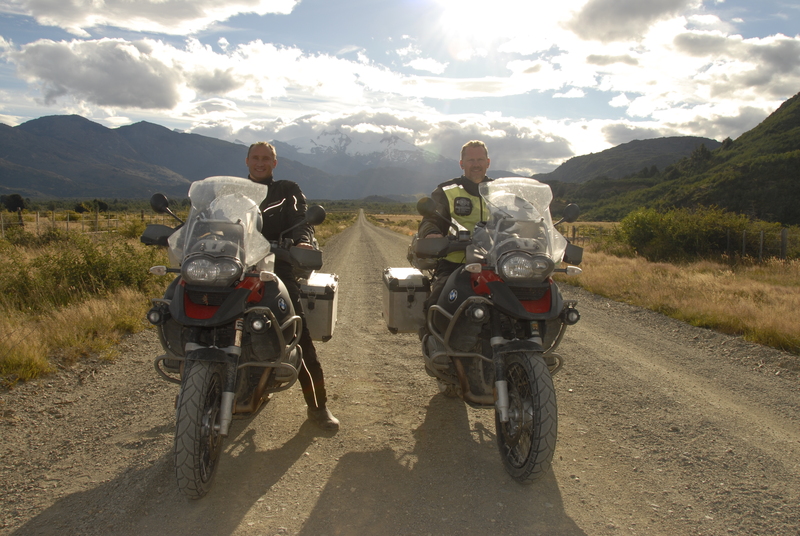 Every time we left our tripod with camera unattended for a couple of minutes (so we could approach the camera on motorcycles) a passing truck would stop and steal our camera. We had to chase 3 SUVs at speeds approaching 100 kmh and demand our camera with tripod back. We got so exhausted that we no longer wished to shoot any videos today. We arrived at a Terra Luna Lodge (right on the lake) owned by a French guy met in the morning at out hotel in Coihaique. He built this hotel by himself – it took him 12 years – a really beautiful place with amazing views. We had a nice French dinner.